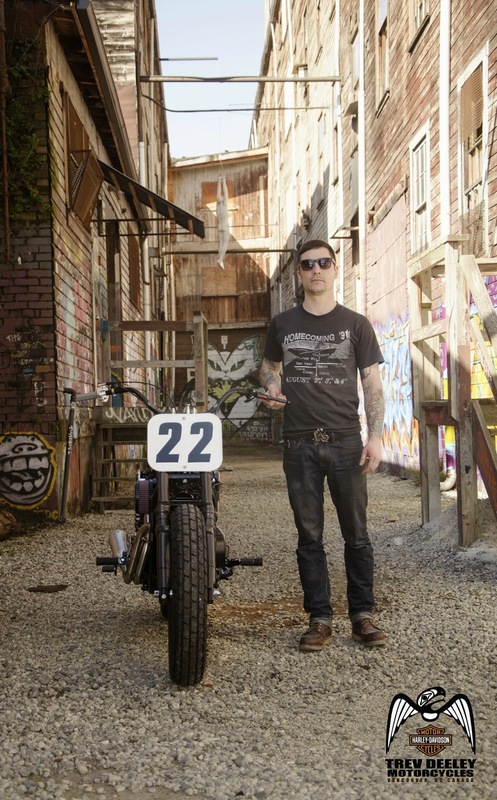 Sam from Vancouver, a veteran of Dirt Quake USA I, built this bike for a Canadian Harley contest. 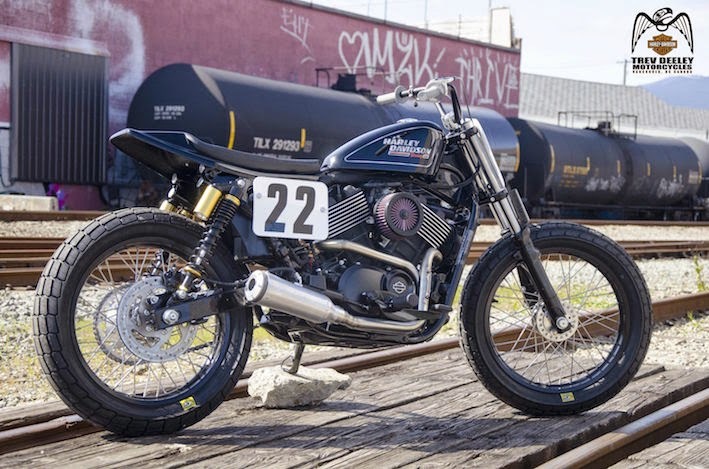 The basis for all the bikes in the competition is the new Harley 750 Street, the liquid-cooled 'entry level' bike. It's clearly meant to stir interest in a bike that is proving to be a bit of a slow burn, but some look great. Then click the photo bike and Vote. 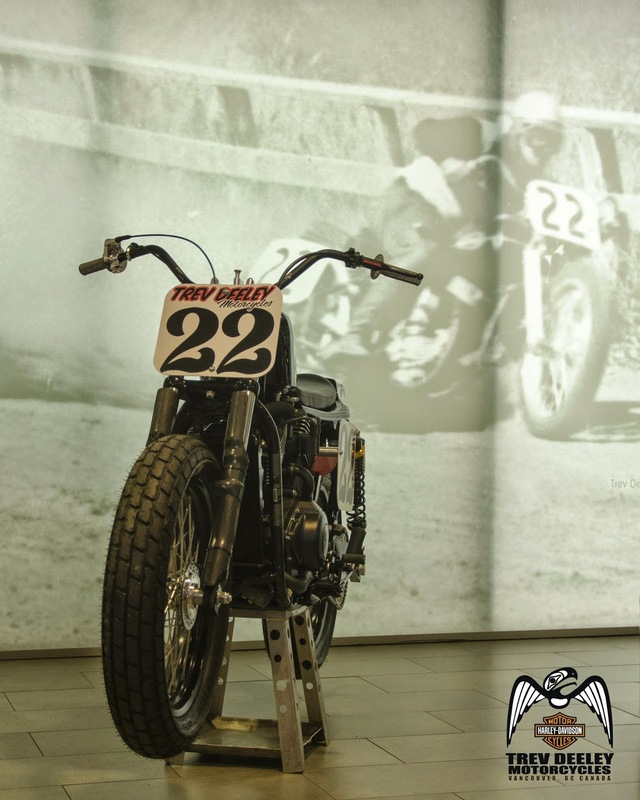 We are Trev Deeley Motorcycles. We grew up racing in the dirt. 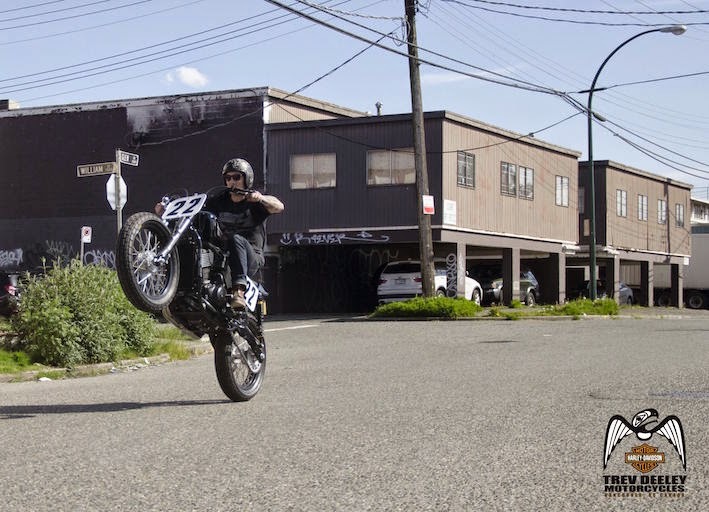 We didn't build a "street tracker". We built a Dirt Track race bike. You won't find a horn, turn signals, head light or a tail light; instead just three number plates, dressed in Trev's racing number. No front brake, no front fender and no speedo on this machine either, there is no need for them. We trimmed the fat. 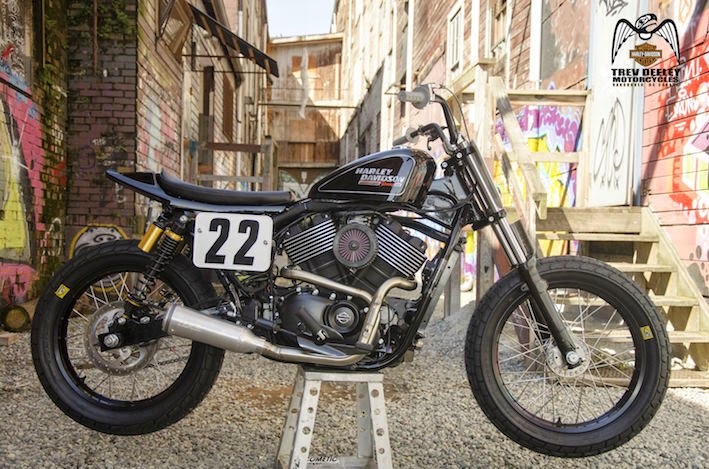 No keys, just a tethered kill switch, custom stainless exhaust with a racing open end cap, spoked wheels, chain drive and proper race compound tires. Go fast, turn left.